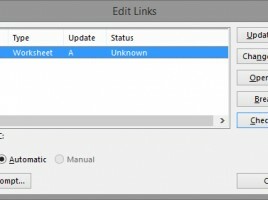 Excel offers you to add controls to documents, the same elements that you can find in windows and dialog boxes, and they enable choosing values, checking options, adding labels, choosing from list objects… Adding control to a worksheet increases interactivity between user and reports. In this way, you can easily create different polls and save the results in a form suitable for further processing. 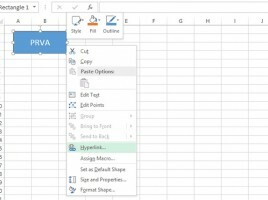 Although it has not been initially made as a translation tool (let’s face it, most of us use Google Translate) Excel has several features that allow you to translate table names from one language to another, check the spelling and grammar, and, if possible, replace one of the labels with a synonym. It’s rare for anyone to know that these options exist, or at least never used them, so it is not bad to mention them. Fuzzy Lookup is an Excel add-in created by a Microsoft development team, and can be used for advanced search and comparison of column values in tables. Why does this serve for? For example, in practice, it often happens that, when entering a name and surname, an error occurs or there is no one-way entry. 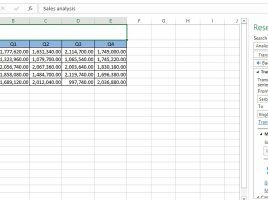 Fuzzy Lookup allows you to compare the column based on the similarity and display the corresponding results in the new table. We meet the hyperlinks every day while surfing the Internet, and they have long time ago become part of Office applications. In Excel, this is often an unfairly ignored functionality. In addition to allowing you to go to an Internet presentation or write a letter to the specified e-mail address, a link can also be used to create a new document or position it on a prefix in an existing document. When making reports, multiple Excel documents are often used. As you know, data in another worksheet or other document, if it is open, we can easily access by specifying the absolute address of a cell or cell range. But what if we want to access a closed document? And can Excel be used as a data repository? 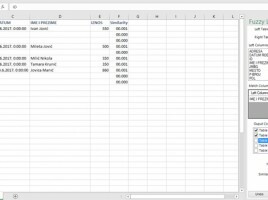 About the link to other Excel files more in the text that follows.